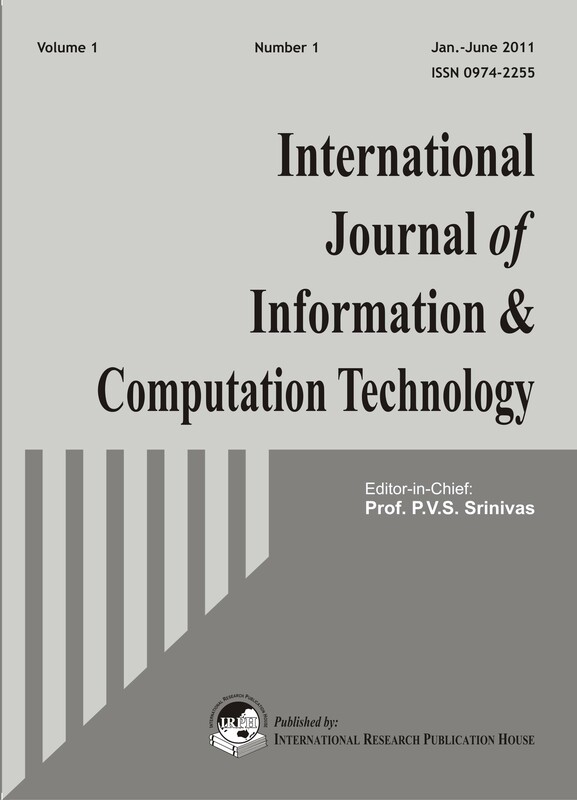 The International Journal of Information and Computation Technology is an international peer reviewed journal that publishes articles in the field of Computer Science, Computational Mathematics, Computer Engineering and Scientific Computing, Software Engineering, Neural Networks, Nano-Technology, Natural language processing, and Information retrieval, includes Algorithm and Computational complexity; Computer architecture and High performance computing; distributed and grid computing; Human-computer interaction; Information security; Pattern recognition and image processing; VLSI design and testing; Artificial intelligence; Dependable computing, etc. The papers for publication in IJICT are selected through rigorous peer reviews to ensure originality, timeliness, relevance, and readability. While it emphasizes publication of previously unpublished materials, selected conference papers with exceptional merit that require wider exposure are, at the discretion of the editors, also published provided they meet the journal's peer review standard. Submission: Manuscripts are invited from academicians, research students, and scientists for publication consideration. Papers are accepted for editorial consideration through email submit@internationaljournals.info with the understanding that they have not been published, submitted or accepted for publication elsewhere.